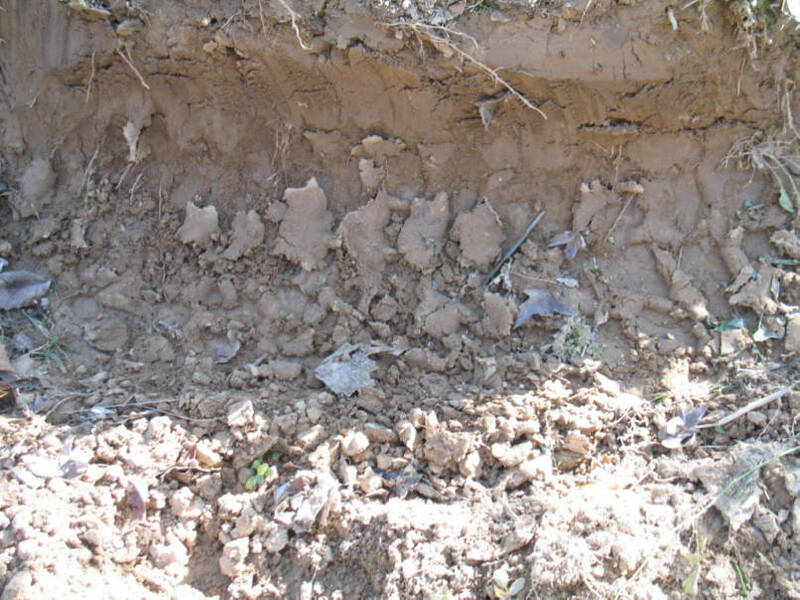 Pictures sent to MSTA by Shelby Farms showing the results of the Environmental Vandalism in the park. 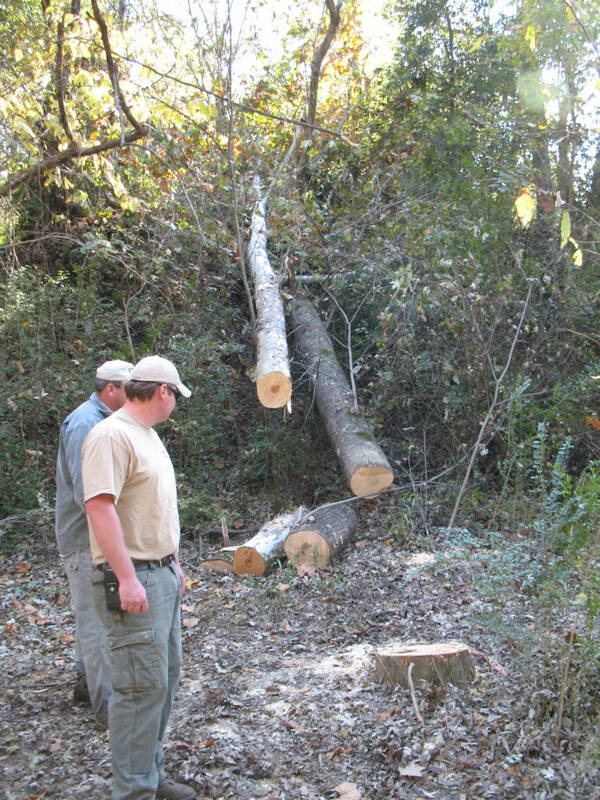 Here are some park rangers looking at the damage done by the vandals. There are reports of persons riding 4-wheelers in the area armed with bows and arrows or rifles. The trees were cut to make it possible to get 4-wheelers on all the trails in the park, most likely to poach deer. 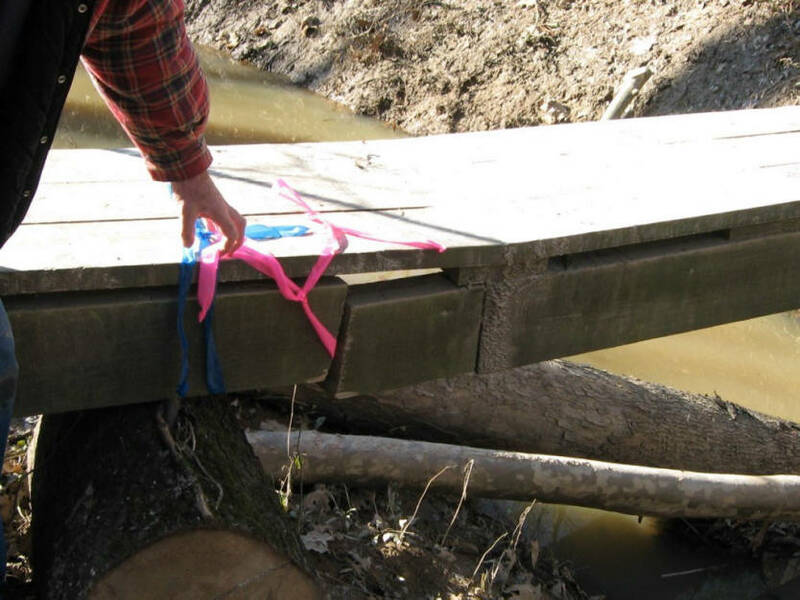 Some person(s) retaliated by sawing the bridge stringers in such a way that it was obvious that they intended that the bridge collapse if someone used it. The bridge was sturdy enough that it did not collapse. On December 30, 2009, MSTA was informed that the bridge was repaired by it's original builders. 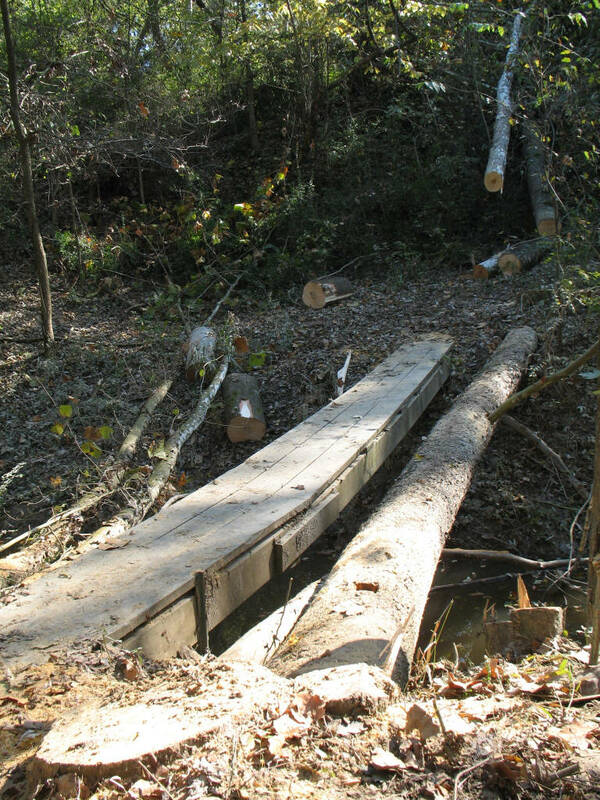 One tree was used to parallel the existing foot bridge to create a 4-wheeler bridge. The rangers cut up the log an sent the pieces down the river. There is a new report that the vandals returned and attempted to build another structure to get their machines across this creek. Tire track of one of the 4-wheelers. 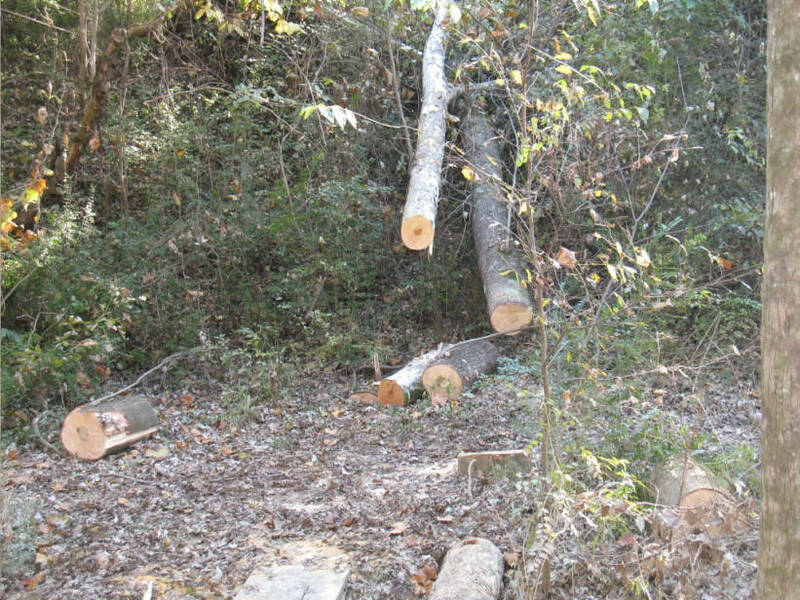 Another picture of the destruction of mature trees in the park. This will qualify for the $10,000 per occurrence fine if the perpetrators are caught. 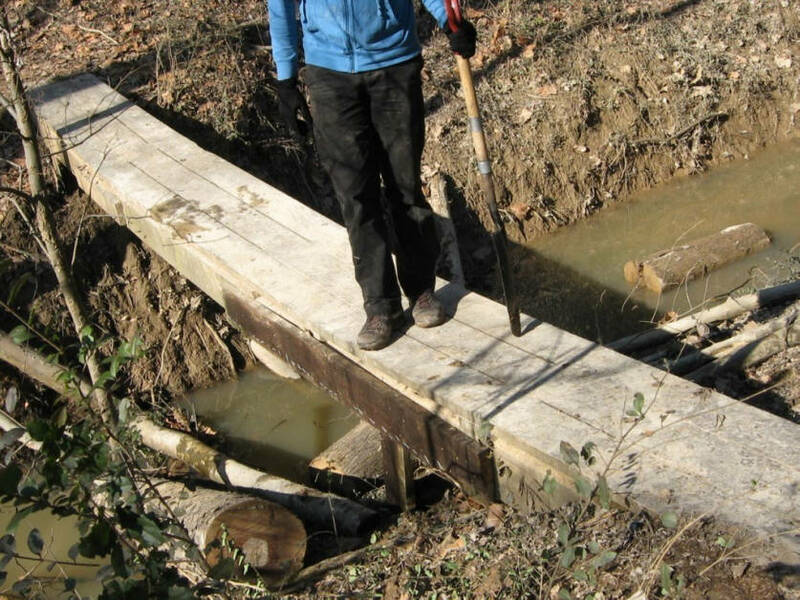 On December 21, 2009, it was reported on the MSTA web site the foot bridge was cut. The damage was done in a way that the perpetrators hoped the bridge would collapse when used. The bridge was repaired by Larry Smith and Naomi Van Toll who were the original builders. This old bridge was replaced by a new span in 2018.